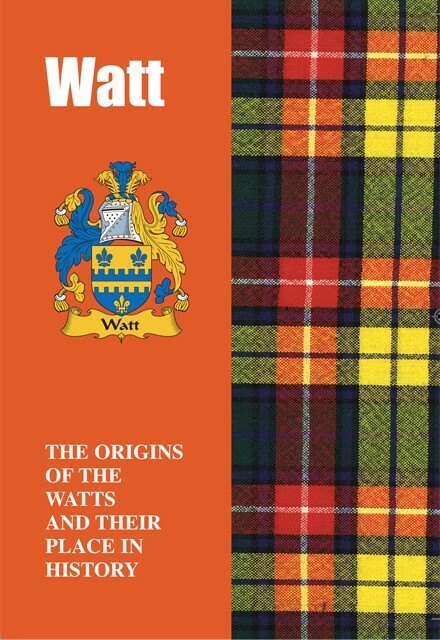 A name that has truly warlike roots, it is perhaps appropriate that bearers of the Watt name and its various spelling variations often found themselves on the bloody battlefields of political and religious conflict. But other proud bearers of the name were to be found at the very cutting edge of engineering and science, while others flourished and continue to flourish, in fields as diverse as music, sport, film and literature. Born in 1736, James Watt was the Scottish mechanical engineer and inventor whose many inventions include a steam engine, the oil lamp, a method of measuring distances by telescope and a device for copying letters. In the boxing ring Jim Watt, born in Glasgow in 1948, is the former Scottish boxer who held the World Lightweight Champion title from 1979 until his final fight in the summer of 1981. 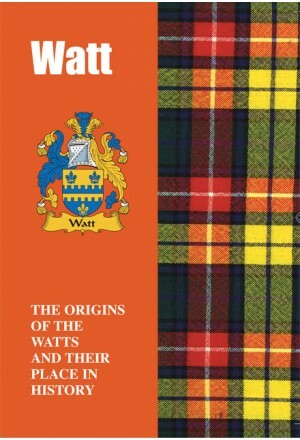 Chronicled here are the colourful and inspiring lives and times of the Watts.